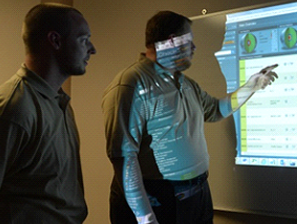 Project Implementation & Management - Avaria, Inc.
Avaria offers a comprehensive suite of managed IT services ranging from Help Desk/End-User support services to maintaining and troubleshooting computers, servers, networks, & applications. Contact us today to for your specific IT needs, no matter how simple or complex. Avaria’s hosted services are provided through our world-class SOC 1 Type 2, SOC 2 Type 2, SOC 3 Type 2 compliant datacenter in RTP, NC. Our NOC is manned 24/7/365 for continuous uninterrupted operations, serving hosted clients throughout the continental US and US territories. Contact us today for any type of cloud service hosting needs, from simple to complex. Avaria’s only focus is to provide IT solutions to achieve YOUR business objectives. Our IT services directly impact YOUR staff’s productivity, efficiency, and satisfaction thereby impacting YOUR bottom line. Business phone system services and communication services are part of an overall business technology plan. Avaria is proud to provide enterprise-grade phone system solutions to North Carolina businesses. Avaria’s experienced team of project managers, team leads and engineering staff is here to deploy right solutions for YOUR business, On-Time and On-Budget. With over 20 years of experience in deploying a wide range of projects for our clients, Avaria’s team understands that your business has unique requirements and budget. We listen, we observe and we ask questions to completely understand your business processes and your objectives. This is all before we commit to your project. We only offer solutions that fit your business needs. Avaria also has direct access to the largest IT distributors in the US, including Ingram Micro, Tech Data and Synnex, & between all of these, EVERY imaginable IT equipment, software and warranties are available to our clients for delivery or drop-ship. On-Target, On-Time and On-Budget IT solutions for your business. Whether you are just setting up shop, relocating office, have a slow network, expanding or have a network built ad-hoc over the years, our engineers can help with design and deployment of your new network. Our designs reflect best of the breed, scalable, & future proof solutions so you buy once & can enjoy trouble free computing for years to come. Whether you’re moving from one provider to another or us, or you want to do an in-place upgrade of your entire email system (Outlook, Exchange etc. ), Avaria’s team of experienced engineers will make sure migration all desktops, laptops, and smart phones are updated, no messages are lost and contacts/public folders are transferred successfully. We will even help in-bound email collected if servers are down. Move mailboxes, contact lists, public folders etc. Time to replace your end points (laptops, desktops, thin clients, smart phones)? Avaria makes sure that transition remains seamless & complete. Backup and user data, files, shortcuts, favorites etc. Apply Group Policies to make sure mapped drives connect correctly, profiles show up correctly, printers attach correctly etc. Upgrade software across the organization e.g. upgrade from Office 2007 to Office 2013, or Adobe upgrade etc. Restore backed up data, files, shortcuts, favorites etc. Install, setup & test new equipment. Assign on-site technicians or engineers at Client’s disposal. Avaria, with access to millions of SKUs through a large distribution network comprised of Tech Data, Ingram Micro, Synnex, Dell, and several small niche distributors, can procure anything IT. Literally. And all our clients take advantage of prices that Avaria offers because of no overhead. In fact, Avaria has exactly $ ZERO overhead in terms of inventory because everything is stocked by our distributors & can be shipped same day for delivery. Delivered at razor thin markups so you save money. Contact us today to request a quote and see how Avaria can deliver an On-Target, On-Time and On-Budget IT solution for your business. Request a free consultation and advice for your IT network with one of our experienced technicians. Situation: A Client in RTP experienced a total loss of power in their building around 6AM due to snow storm. Utility company did not have an ETA for power restore. Client called Avaria to fail-over servers in Disaster Recovery Mode. 8:25AM: Client called Avaria to go into Disaster Recovery mode. Avaria maintains and manages a 24x7x365 server replication setup between its datacenter and Client’s office. 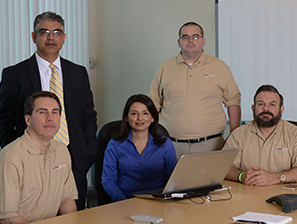 9:05AM: Avaria brought the replicated file server online (1.5 TB data) at its datacenter in about 10 minutes. 9:25AM: After testing routing and DNS services, Avaria’s network admin confirmed server was fully functional, accessible and usable at Avaria’s datacenter. Client confirmed all services were running and data was now accessible from Client’s office and to employees from home. Client’s President/CEO: 1:46PM: “Thanks for the back-up planning and Disaster Recovery execution today... Well done!" 12:50PM: Avaria lined up resources and started the deployment. 2:350PM: Client’s new server had been fully provisioned, 138 updates applied, remote access enabled in support portal and granted, credentials sent to Client’s developer. 3:13pm: Client responds “Many many thanks and apologize for the holiday interruption”. Situation: 11:05am: Client’s end users had been complaining that applications on their server were running too slow. 11:11am Technician determined the server needed more CPU power. 11:14am Sent an email to the Client saying that he could remotely add another CPU to their server and their downtime would be about 10 minutes. Client responded saying he could upgrade during their lunch break. 12:10pm technician upgraded server. Downtime: 7 minutes, and no complaints since then. 8:05am: Client called saying their billing vendor needed reports uploaded to the vendor’s network. 10:15am Technician setup a secure FTP server, allocated credentials, tested connectivity and access. 12:45pm contacted the vendor and remotely trained vendor’s staff how to view files. 100% work performed remotely. Situation: Client’s server was 5 years old and was costing 10 to 15 hours of monthly maintenance costs and frequent downtime. Client agreed to get rid of the server and go with a virtualized server instead of buying new hardware. Friday was a good day because Client’s office closed early. 12:20pm Technician backed up the server using imaging software, transported the image to the datacenter and loaded the image into our virtualized environment. 4:43pm called the client asking to test remote access, test software and applications and make sure all data looked good. 6:07PM Client emailed saying “all looks great”. 7:26am Client reported “no Internet, no phones” in their office. 7:34am Technician asked for their Time Warner account information. 7:48am Technician was on the phone with TWTC; determined problem was at TWTC’s connection outside Client building. Worked with TWTC’s engineer troubleshooting their equipment. 8:20am Outside connection was up. Remotely tested Client firewall and Internet router. Determined all was looking good. 8:35am informed the Client they were back up and running. Sunday 1:33pm: Client’s CFO reported that she could not login their server from home. 1:35pm Technician tested access to the server and confirmed that the problem was at Client’s home Internet connection. Walked the Client over the phone through testing and troubleshooting home Internet connection. 1:57pm finished up the task by clearing out stale cached DNS records and Client was able to login the server by texting back “That worked”. 7:47am: Avaria’s monitoring system alerted a key server at Client site was down due to power outage. Client’s office was not yet open. 7:56am Contacted the Client informing that we needed Client to power cycle the server. 8:14am Client had just gotten to the office; turned on the server. Avaria’s tech tested connectivity and critical services (DNS, DHCP, print services). All looked good. 8:26am Informed the Client all looked good. Client’s office starts at 8:30am sharp.